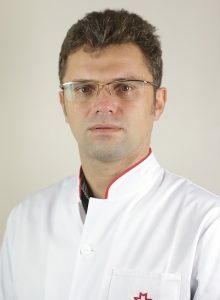 2005 - CURS DE ARTROSCOPIE A GENUNCHIULUI (MODULELE I, II) – UMF „VICTOR BABEŞ” TIMIŞOARA. 2006 - WORKSHOP AO – SYNTHES, CLUJ-NAPOCA. 2017 – BURSA (FELLOWSHIP ) – CHIRURGIA UMARULUI – HADASSAH UNIVERSITY HOSPITAL IERUSALIM (ISRAEL). 2007 – 2009 DEZVOLTAREA MODELULUI VIRTUAL 3D AL ARTICULATIEI DE SOLD PRIN TEHNICI CAD/CAM SI RAPID PROTOTYPING. Grant CNCSIS 393 /2007.